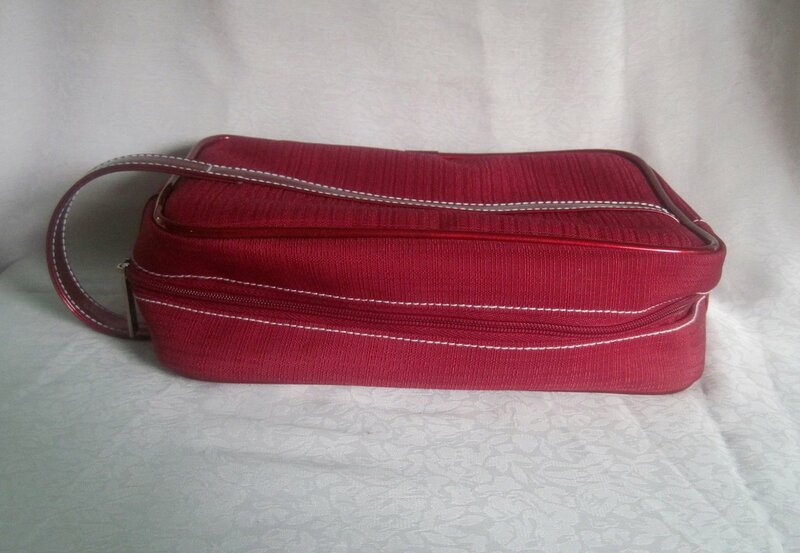 Beautiful Cosmetic bag made by Estee Lauder, Sophisticated styling with faux patent leather strap handle, accented with silver-tone hardware and zipper pull. 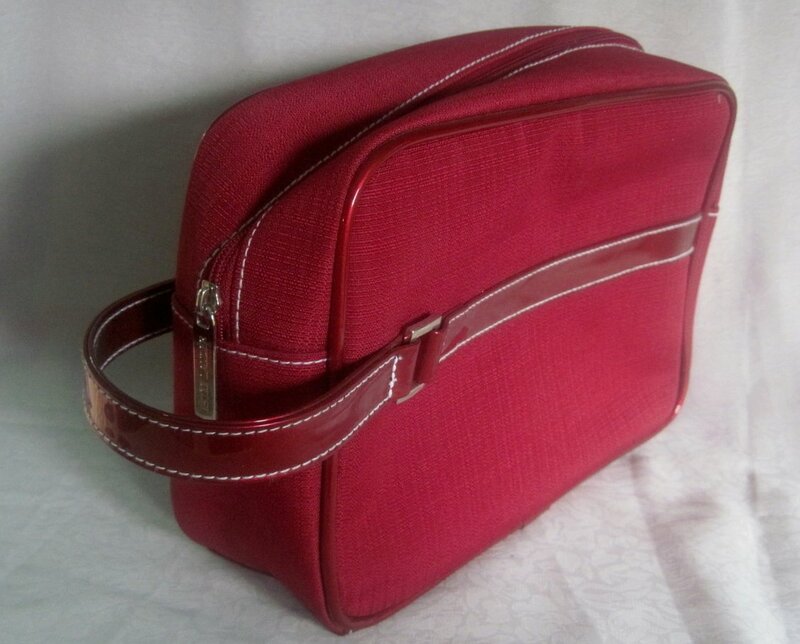 White stitching around zipper and on strap. 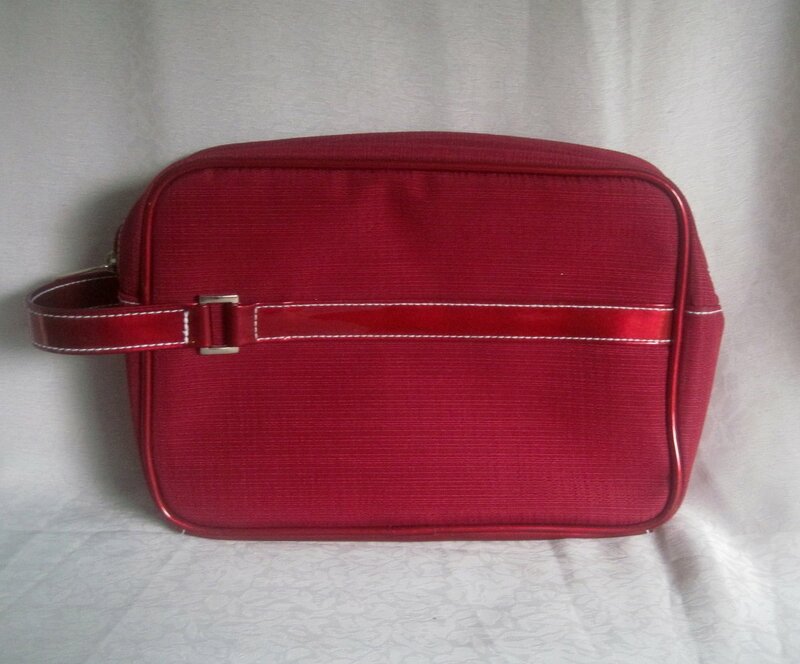 Large enough to carry all of your cosmetic essentials when traveling or as a storage bag for your vanity. 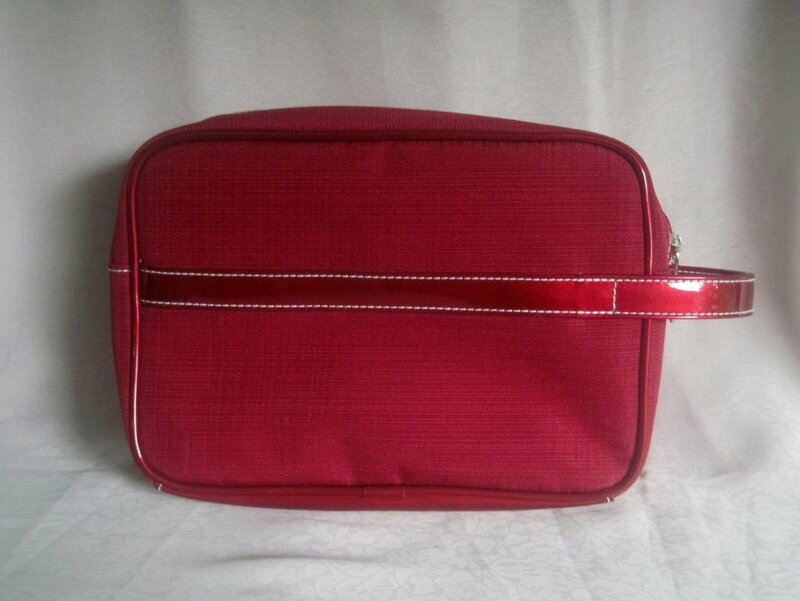 Rich Red color in a textured polyvinyl exterior. Red interior. Dimensions measure 9 x 6.75 x 3.